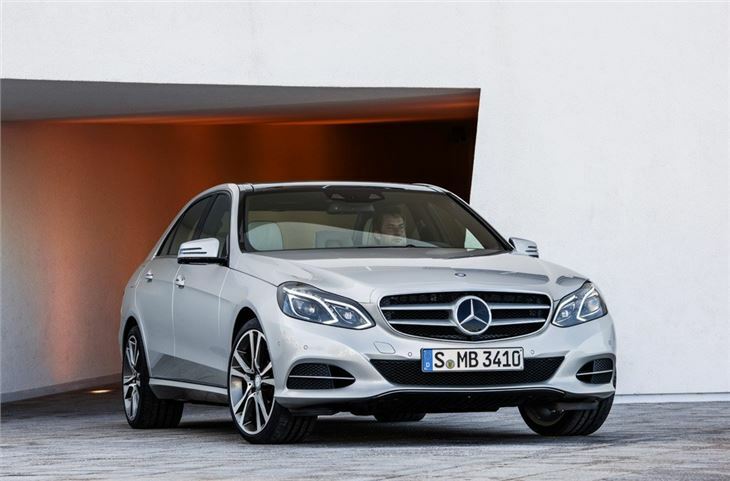 Mercedes-Benz has revealed the revised E-Class which is set to go on sale here in April 2013. The facelifted version of the executive model gets a smoother front end with new headlights and while at the back there are redesigned LED rear lights. There are also improvements to the interior with new seats. Initially the saloon and estate models will be revised with the Coupe and Cabriolet versions following later. 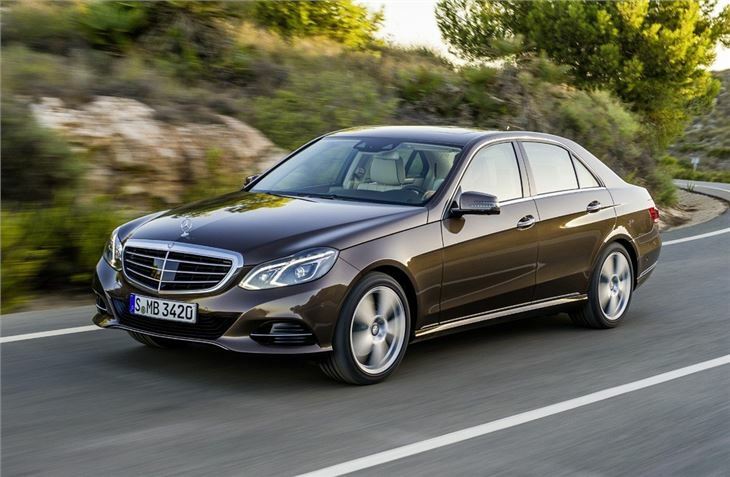 The new look brings the E-Class in line with newer Mercedes-Benz models like the recently launched A-Class. So there's a softer front end with a new bumper, bonnet and redesigned headlights which come with partial LED lights as standard. Full LED headlights are an option. There will be one trim level - Avantgarde - but there's the option of a different grille incorporating a large three-pointed star to give a more sporty appearance. At the back there are new LED lights with a two-tone look when lit. The interior has been given an overhaul and on automatic models the gear lever has been moved from the centre console to the steering column, like the S-Class. There is also a redesigned instrument cluster, different air vents and new seats. As well as styling changes there are also two new petrol engines - the E200 and E250 - both the same 2.0-litre four-cylinder engine badged as BlueDirect. 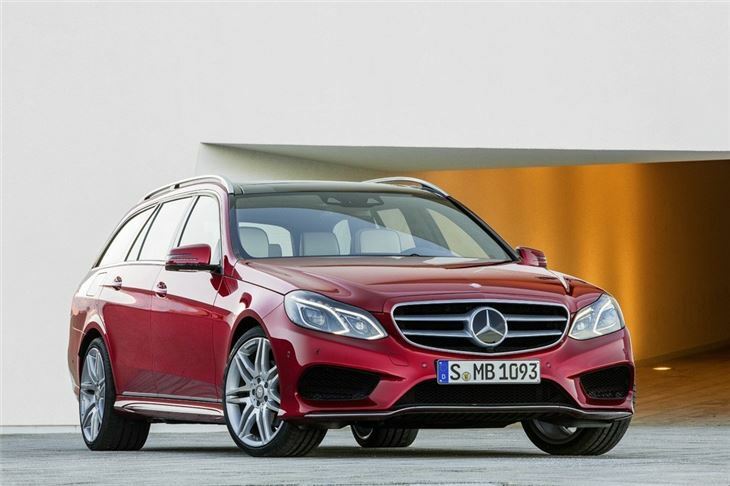 The E200 has 184PS while the E250 produces 211PS but both average the same official 48.7mpg with emissions of 135g/km when fitted with the seven-speed 7G-Tronic automatic gearbox. 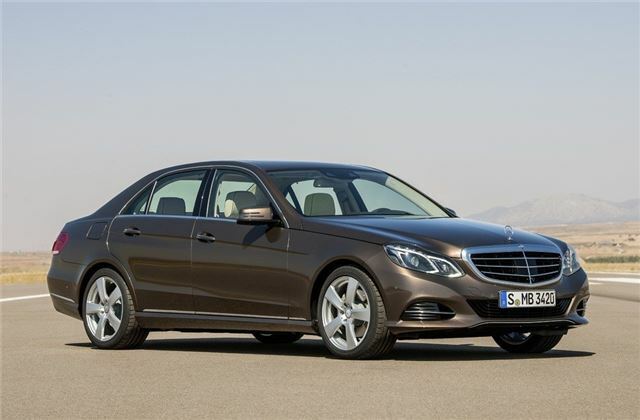 The diesel line-up includes the four-cylinder E200 CDI, E220 CDI, E250 CDI models, all powered by the same 2.1-litre diesel engine, plus the V6-powered E350 BlueTec. 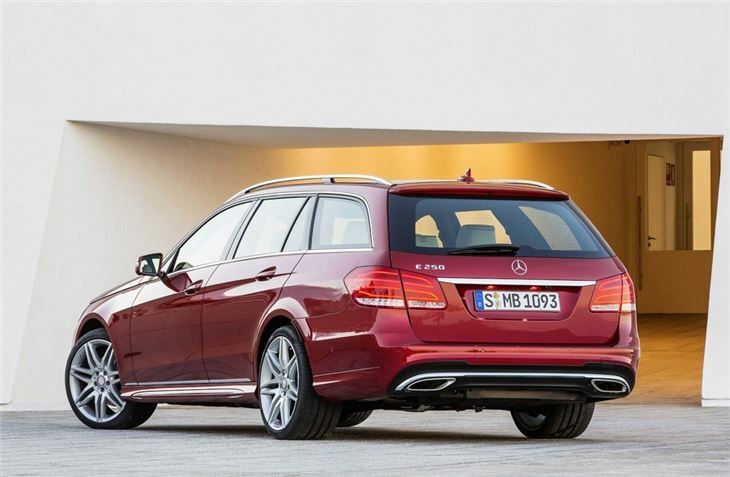 There will also be a E300 BlueTec Hybrid which emits just 107g/km of CO2 with economy of 69mpg. All models come with Collision Prevention Assist as standard. This is a radar-based system designed to reduce the risk of a rear-end collision, plus there is Attention Assist which warns the driver about his or her level of fatigue and the amount of time driving since the last break.